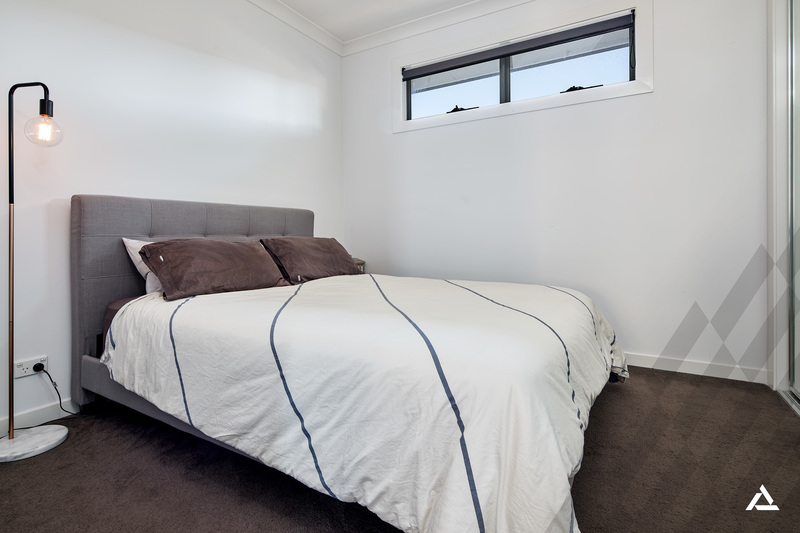 Prime Position Doors to Southland! 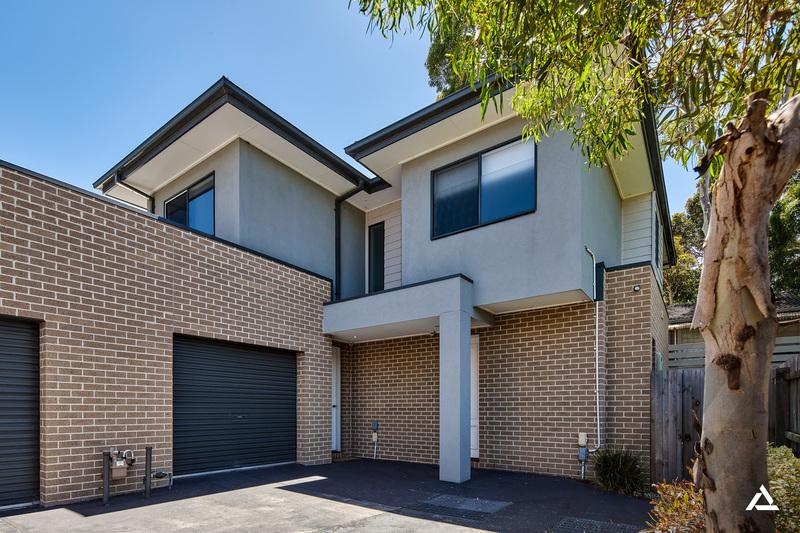 Count the steps to the shops with this modern townhouse featuring a blue-ribbon location doors to Southland Shopping Centre. Shop 'til you drop and commute with ease from this private, low-maintenance oasis in one of Cheltenham's most desirable precincts. Walk to Cheltenham Station and Charman Road's bustling cafe and restaurant scene. It's a hop, skip and a jump to the movies, supermarkets, bus stops, medical facilities and more. 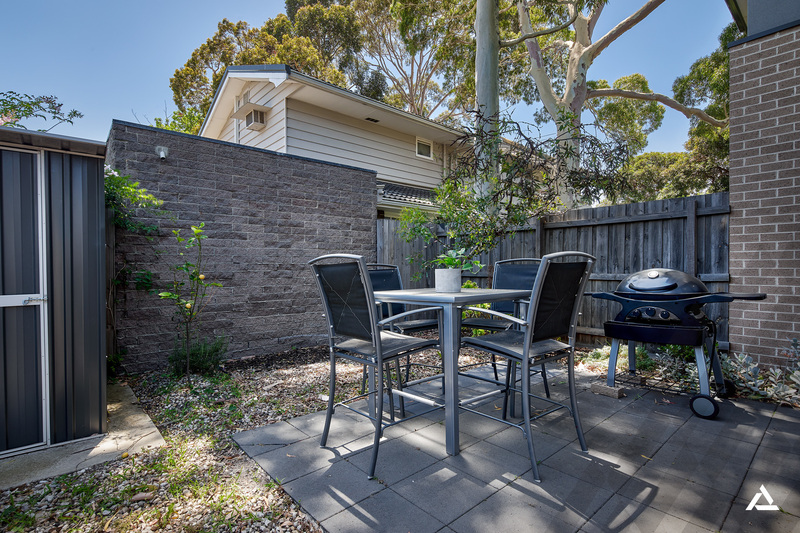 This 2-bedroom domain is nestled at the rear of a boutique development of 5 modern townhouses. Quiet, secure and sparkling, it's an accessible base for style-seekers with the promise of no passing traffic and minimal need for a car. The layout features an open-plan ground-floor kitchen, living and dining space that spills onto a northerly-facing L-shaped courtyard with an alfresco terrace and a garden shed. 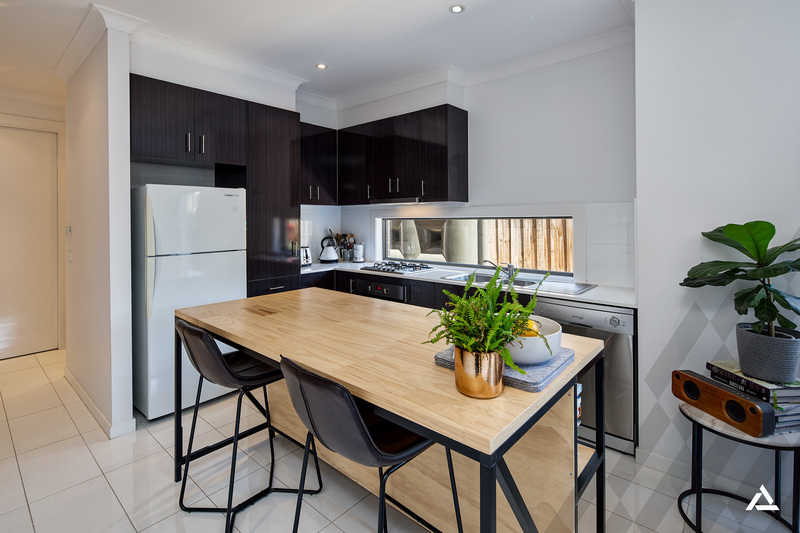 Premium finishes shine throughout, including stone benchtops and stainless steel kitchen appliances. The design includes a ground-floor toilet, a European laundry, understair storage and windows that beckon natural light in from all angles, including a kitchen window splashback. 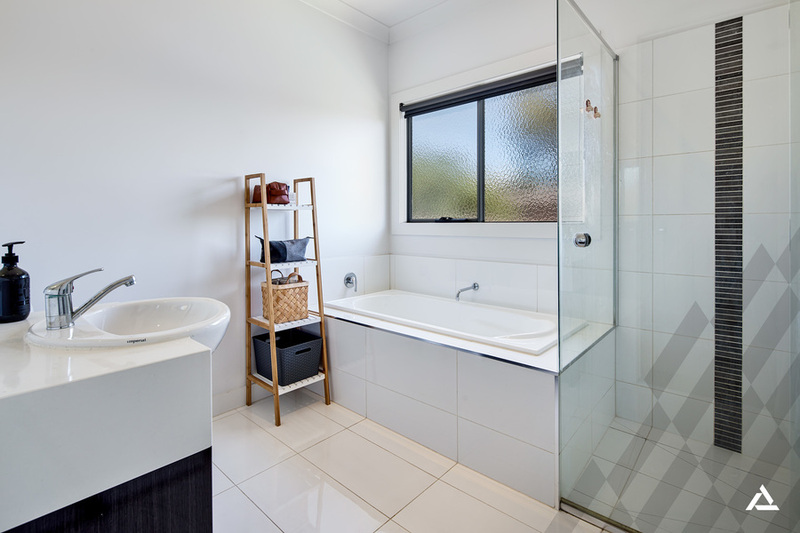 The accommodation is zoned upstairs, where generous bedrooms with built-in robes share space with a central bathroom featuring a separate bath tub and shower. 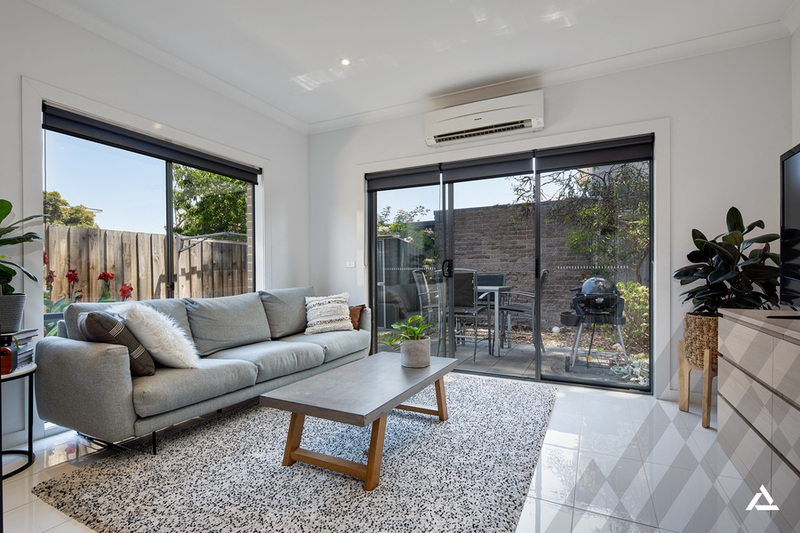 Other appointments include a single garage with internal entry and courtyard access, split system heating/air-conditioning, deep eaves and a water tank. 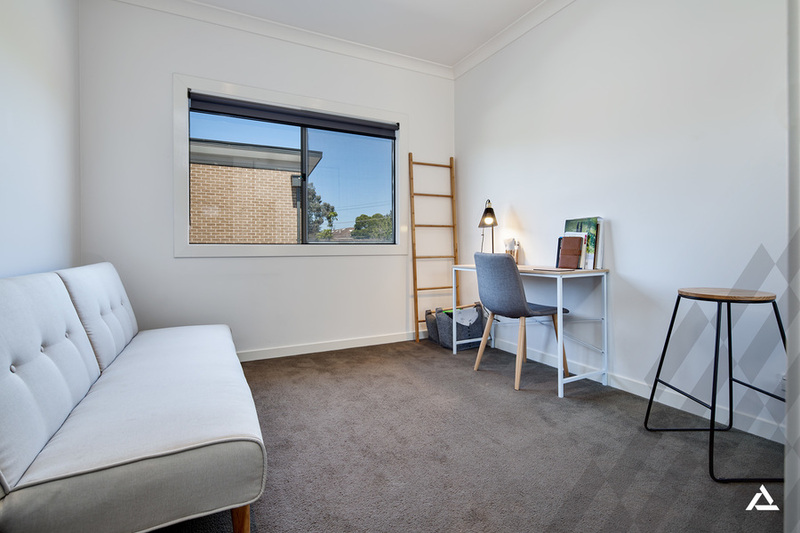 Nest and enjoy the spoils of a walk-to-everything address or invest and reap the rewards of this high-demand position within the Cheltenham Primary and Cheltenham Secondary College Zones!